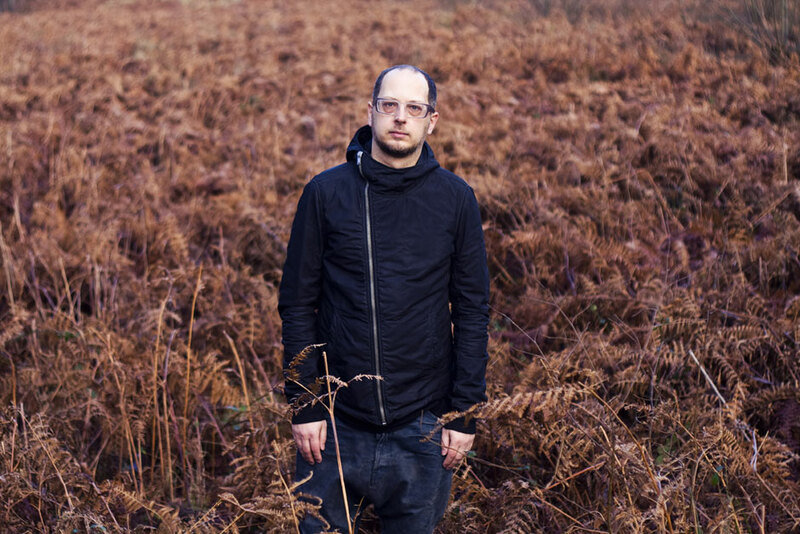 Mike Paradinas lives in Brighton and has been creating experimental electronic music under the alias μ-Ziq since the mid-1990s. His latest project has seen him team up with his wife Laura Rix-Martin as part of the synthpop duo Heterotic. He is also the founder of highly respected label Planet Mu. I first heard Hieroglyphic Being in Edgeworld Records in Brighton. The shop’s unfortunately closed down now, but they were playing “Got No Place To Go” over the speakers. All the other tracks that the guy behind the counter was playing that day were by numbers really, they sounded like they were made to try and impress a crowd—stuff I’d heard a hundred times before. But this was something that sounded personal, interesting, but still with a groove to it. It sounded human and fragile. I didn’t buy that particular record, but after a while I bought quite a few others by him. His music’s produced quite weirdly, he doesn’t do the expected things—there’ll be no bass on the kick drum, for instance; or there’ll be weird scraping noises going on in the background all the way through. It makes for really interesting atmospheres and it sounds like there are no emotional limits to the sound world he puts you in. Either that, or it just sounds a bit crazy. He does these releases on his label Mathematics where there’ll be 250 copies of each one, and they’re just white labels with a stamp on it. How Wet Is Your Box is one of these limited editions. It’s a recent one for the series “+++”, I think it’s a sub-label of Mathematics. It’s just completely unhinged in its use of distortion, but really cool sounding. It reminds me of a weird version of Detroit techno or rather Chicago house, kind of like a completely weird version of something between Robert Hood and Jeff Mills or Larry Heard’s Gherkin Jerks with some early Chicago analogue acid. Really tough beats which, due to distortion, sound quite fragile, mixed with completely out of tune synths. By sounding noisy and distorted, he’s bringing it up to blissful levels, I think. It’s like techno is going in some of the areas that shoegaze went with rock. After dealing with all the footwork producers, I guess I was bit surprised to learn Jamal [Moss aka Hieroglyphic Being] was from Chicago. But of course there’s a similar sort of attitude that living in Chicago gives you, I think: a ‘keeping it real’ vibe. I was sending YouTube links of some of the Hieroglyphic Being tracks to Young Smoke, to see if Smoke was aware of that happening nearby—he seemed to like it. I haven’t asked Jamal if he’s aware of the footwork scene—maybe I should? I’ve only spoken to him via email, and his emails are quite cryptic. It’s probably deliberately written so you could you interpret him in a myriad of different ways.